Unitech Washers completed a twin track crate washer and dryer for our client Technica International. The washer was designed and manufactured complete with pre-wash, wash, rinse and sanitize sections along with 4 off multi pass air knife blowers and extraction fans. 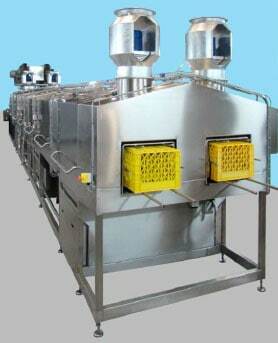 The crate washer will wash and dry up to 5,000 crates per hour.